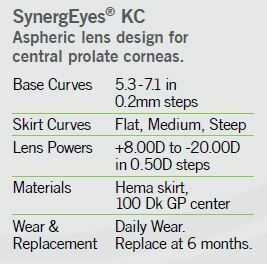 SynergEyes KC was the first hybrid contact lens with FDA-clearance specifically designed for patients with keratoconus. 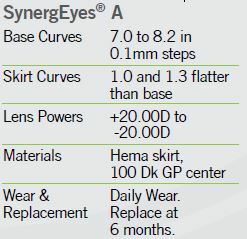 SynergEyes KC offers the benefits of hybrid technology–allowing you to live a productive life with consistent, healthy vision you can count on. 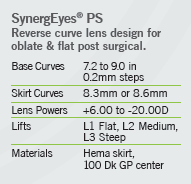 SynergEyes PS, is a hybrid contact that offers vision correction after having surgery. 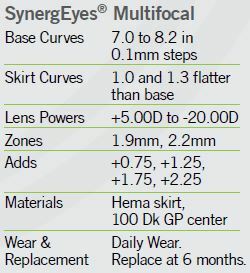 SynergEyes PS includes SynergEyes’ the patented hybrid technology–allowing you to enjoy all-day comfort and predictable clear vision.